UK Traffic News is the easiest way to find all today's latest traffic news. Featuring informaton about today's latest traffic reports, traffic updates, traffic delays and road traffic accidents. All major UK motorways and A roads are covered. Current and planned roadworks are also featured. Our aim is simply to make it quick and easy to find the latest UK traffic news. Use our "search latest traffic news" facility to fine tune your traffic news search (main menu above or search on right). 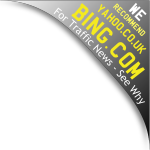 Use our UK traffic news updates "search all traffic news" search facility to find all road traffic news for today and the coming days including roads and motorways that we don't currently have dedicated pages for. Our Traffic news is constantly being updated throughout the day and night. UK Traffic News want to save you journey time, fuel and stress by avoiding traffic jams, traffic holdups, roadworks and other traffic delays. We do our best to bring you all the latest traffic information from around the UK. The traffic news is updated by the minute. Useful for drivers in general, haulage companies, commuters, delivery companies and road users aiming to avoid traffic delays and holdups where possible to save time and fuel. Avoiding traffic jams helps reduce pollution. Sections for England traffic reports by region. Pages for each the regions of England. Sections for Scotland traffic reports. Information about the main motorways. Driving Information and motoring pages. Information about vehicle number plates, road signs, road tax bands. Information for learner drivers such as How to book your driving theory test online? Breaking Traffic News tends to be news about major incidents, road closures, and other serious traffic news that can cause major delays. You can use the traffic news search facility and use the "breaking news" drop down option to see all the breaking traffic news about road closures, traffic accidents and other serious traffic updates featured as breaking news today. The UK Traffic News regional traffic information sections are divided into traffic news for England regions and for Scotland types of traffic news. UK Traffic News covers England traffic news, traffic updates and traffic reports for the North West England, North East England, West Midlands of England, East Midlands, Eastern England, South West England and South East England. 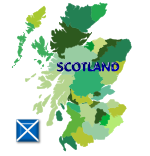 Scotland traffic and roadworks news is divided into current traffic incidents in Scotland, Current Roadworks in Scotland and Planned Roadworks for Scotland. Below is a summary of the latest traffic news and traffic reports received. Please allow a few seconds for the traffic news to load. These are some of the latest traffic reports from around the UK. For all the latest traffic reports use the traffic search facility at the top of the column to the right. Below are some of the latest current UK traffic incidents. UK Traffic News has dedicated pages for growing number of the main UK motorways around the UK. UK Traffic News features information about UK motorways and sections for the latest motorway traffic reports today. We also feature a growing number of useful, informative or funny motoring videos which are an quick interactive way to see motoring updates and information while using the UK Traffic News website. On pages where you see a video if you refresh the page you will often to more featured videos. To refresh the page use the F5 key on your keyboard for many browsers or click the refresh button on the address bar of your browser. Bringing you the latest UK traffic news, traffic reports, traffic updates and information about roadworks around the UK. Thanks for using UK Traffic News come back soon to avoid the jams our news is updated throughout the day. Use our "Traffic Search" to find the traffic news you are looking for. Use words such as A34, A14, M8, "M77", M1, M6, M25 J16 or "M25 J16" "northbound" "westbound" "roadworks" "congestion" or a combination to meet your traffic information requirements. Welcome to UK Traffic News which is completely FREE to search the latest traffic news. No registration and no fees or subscriptions. Latest traffic updates received about traffic incidents in and around England roads and motorways. What's the new number plate from March 2015 after "64"? Latest news in about traffic incidents in and around Scotland's roads and motorways. See our dedicated Traffic News Scotland website. How good are you with road signs? What exactly does this one mean? Click on the image to see if your right ! Thank you for using UK Traffic News. Traffic news is updated constantly so keep checking back for the latest road, motorway or roadworks updates.